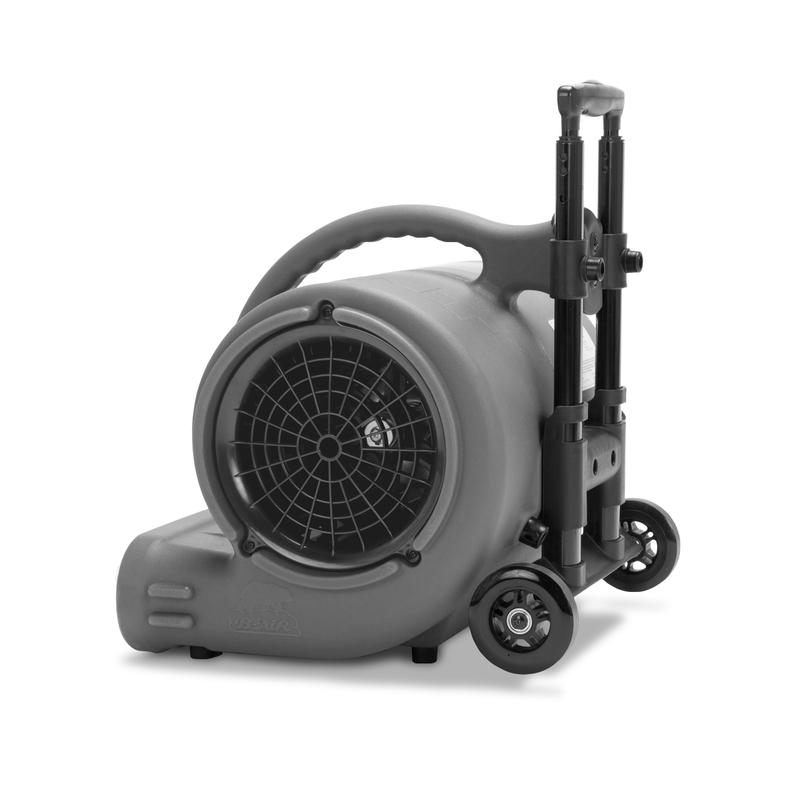 View cart “B-AIR® KOALA KP-1200 1 HP” has been added to your cart. 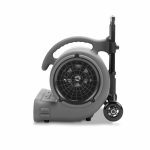 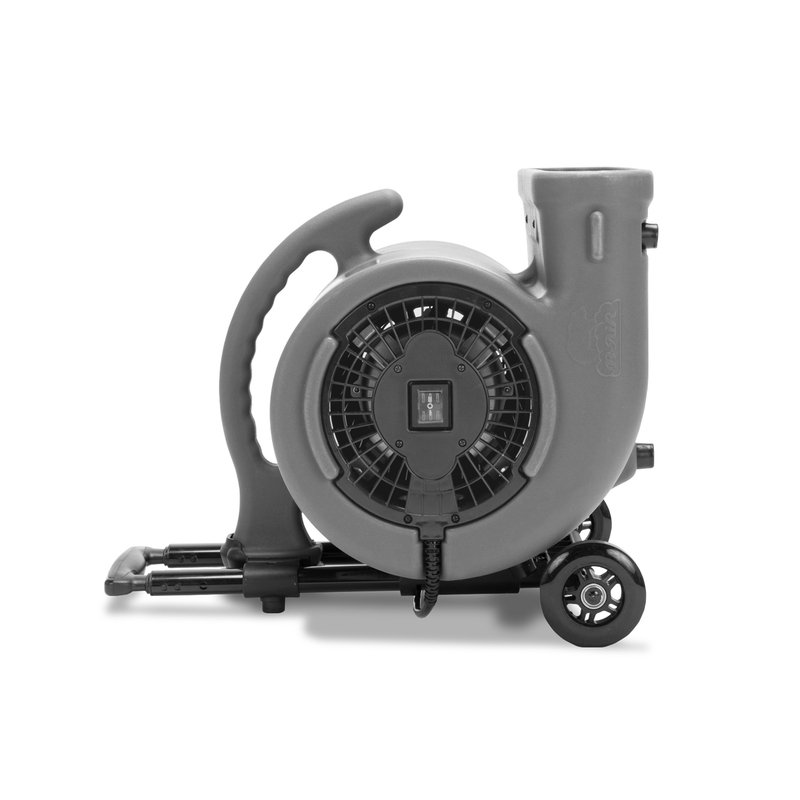 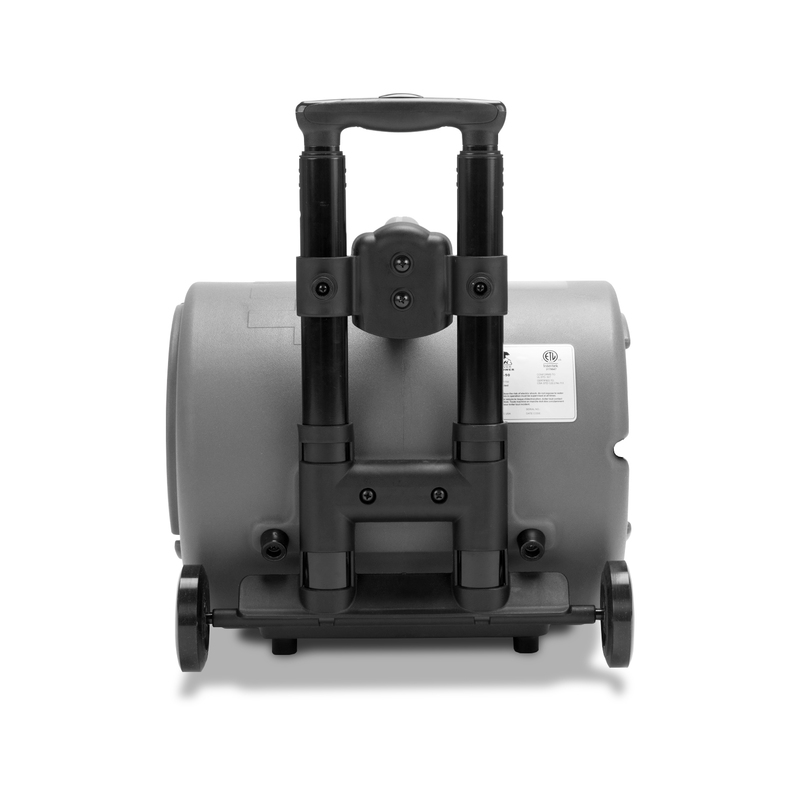 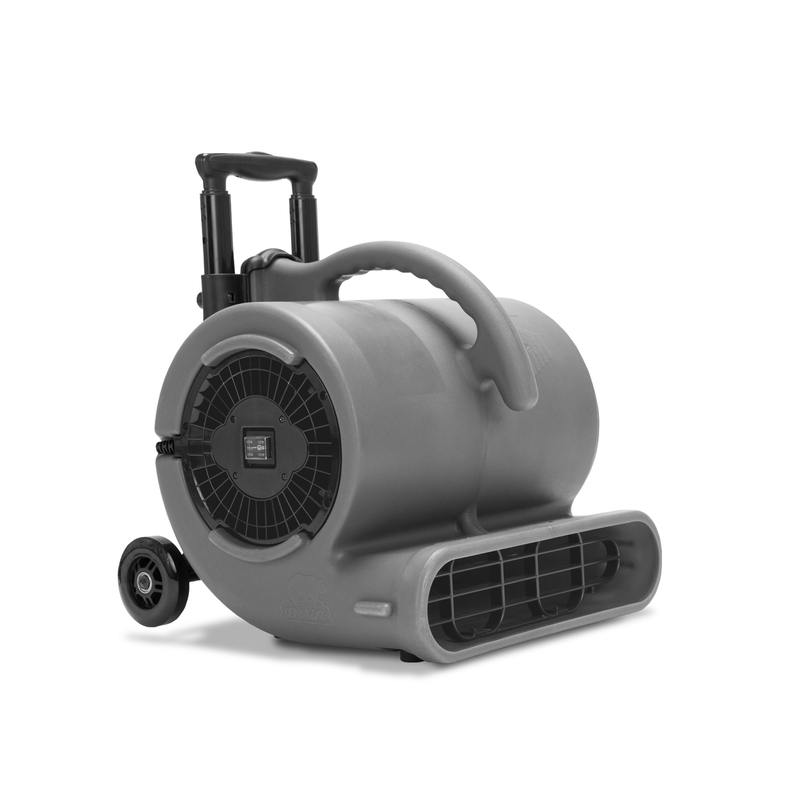 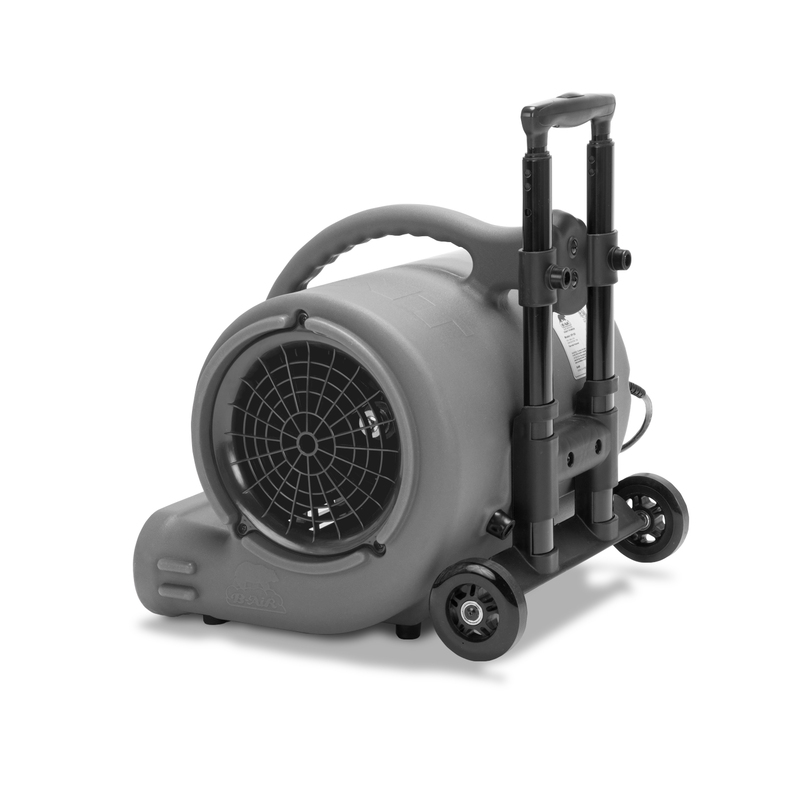 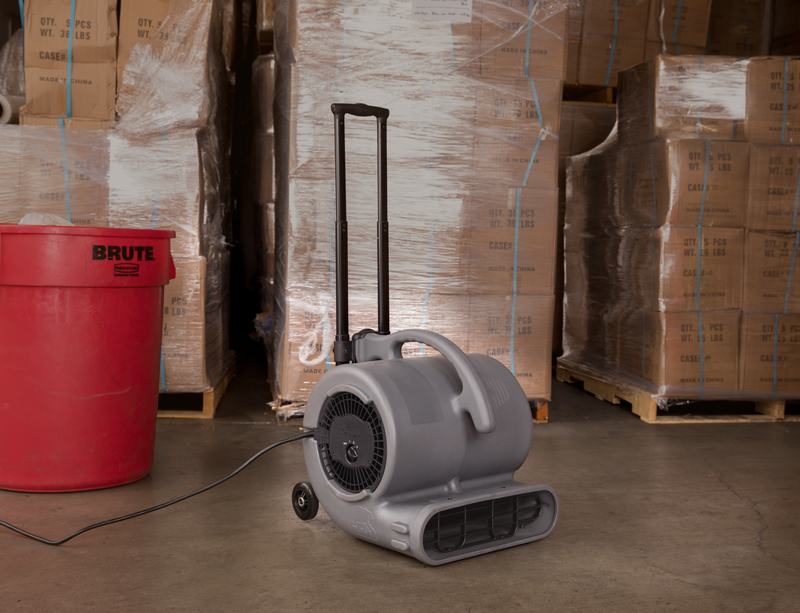 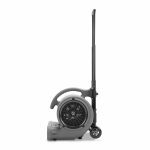 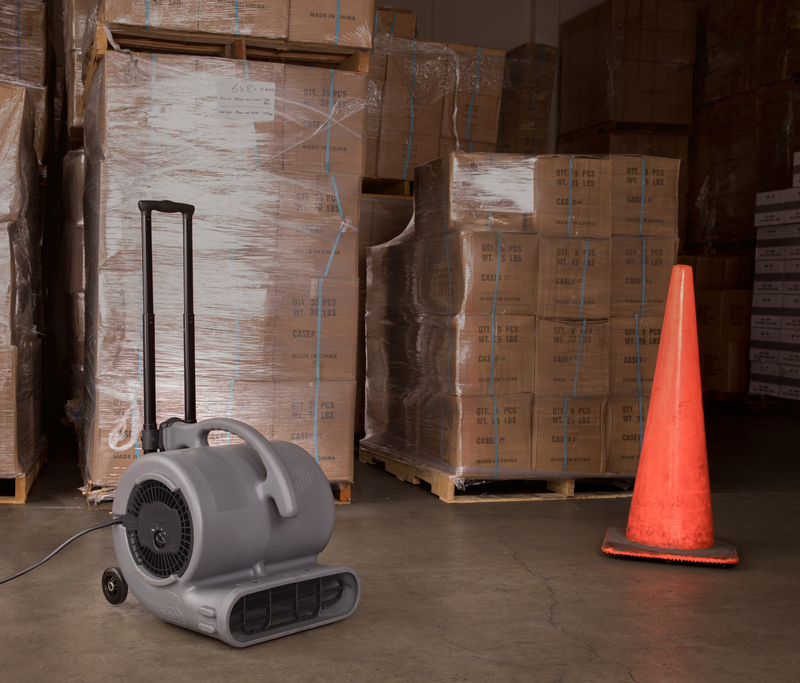 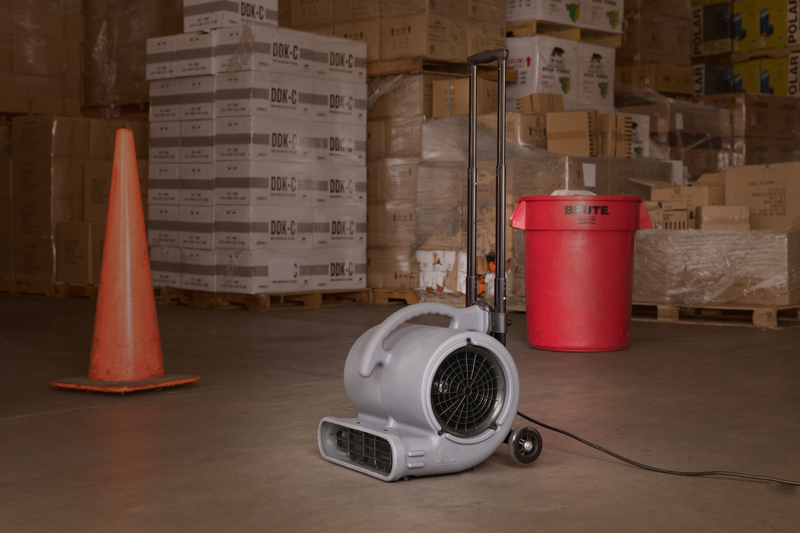 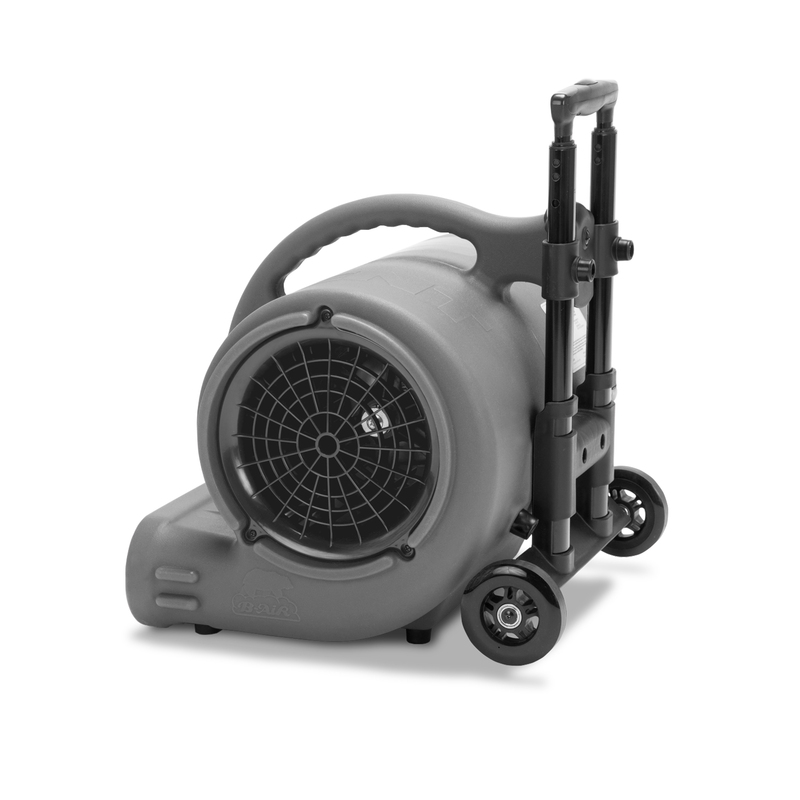 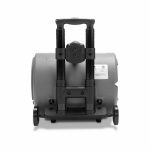 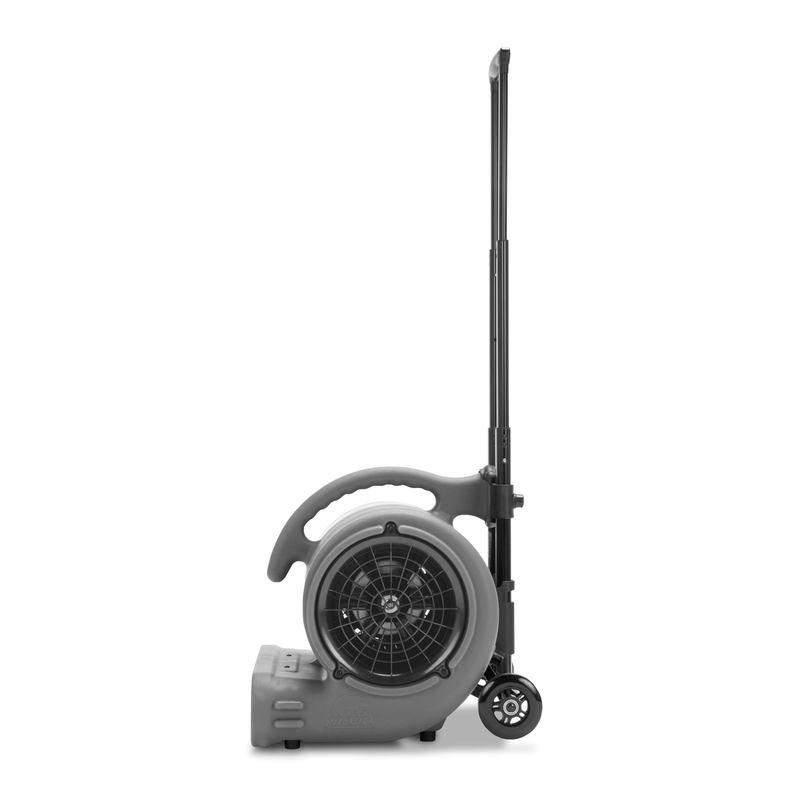 Introducing the Vent 50H with handle, the next generation of centrifugal air movers! 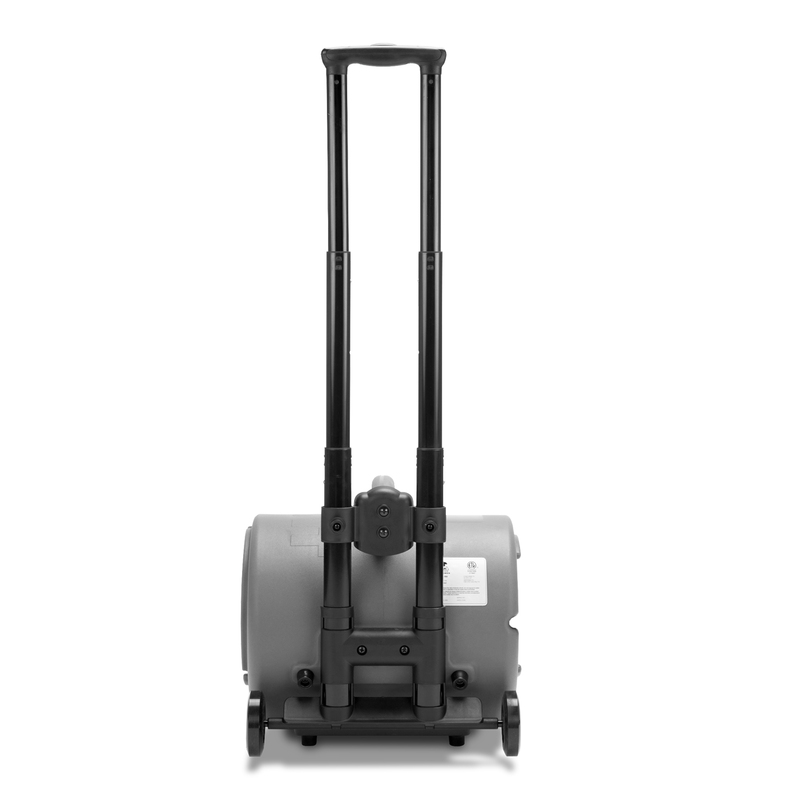 Half the size yet more formidable than its predecessors. B-Air developed the Vent VP-50H with handle air mover to be more powerful yet smaller than any other air mover in its class. 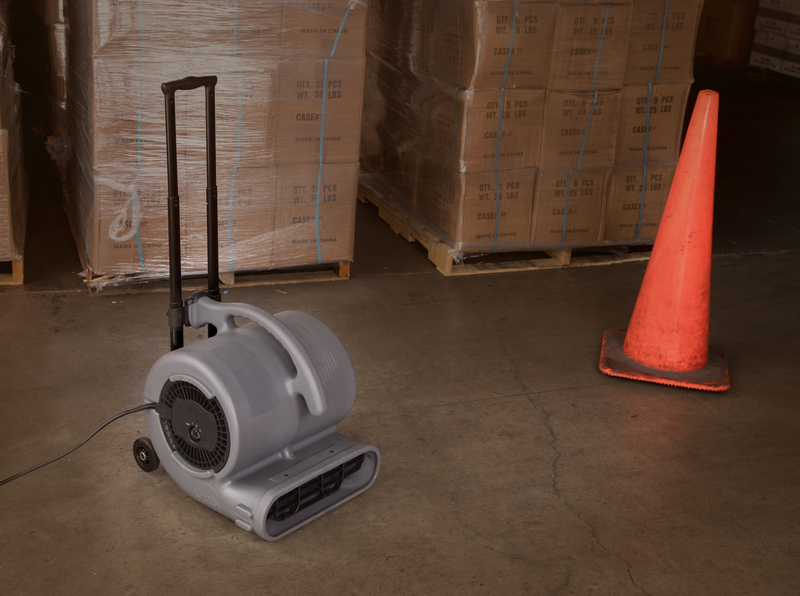 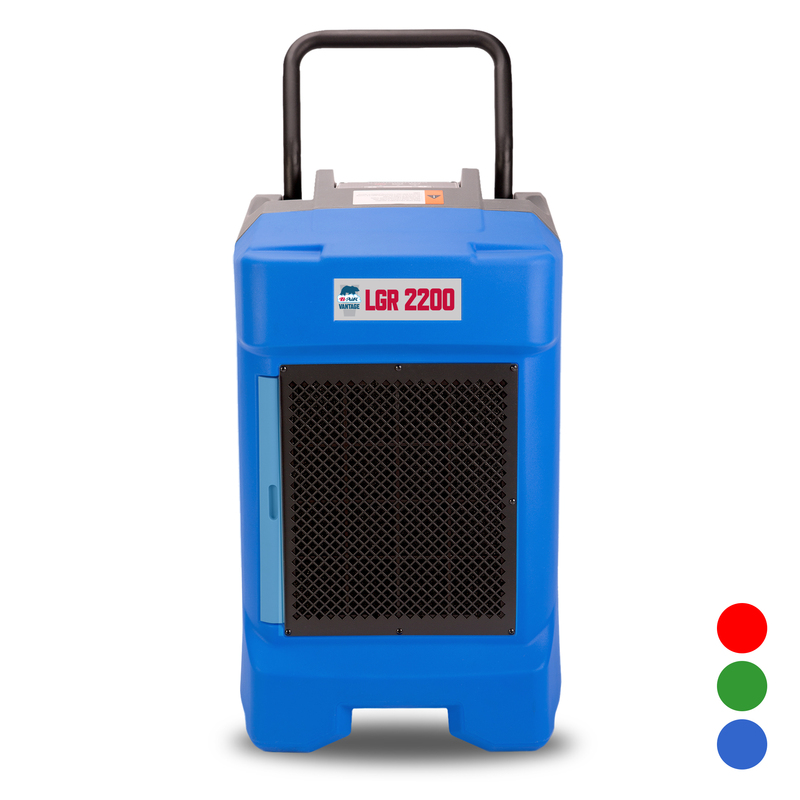 The Vent VP-50H’s ½ HP motor delivers a powerful air flow while drawing low amps. 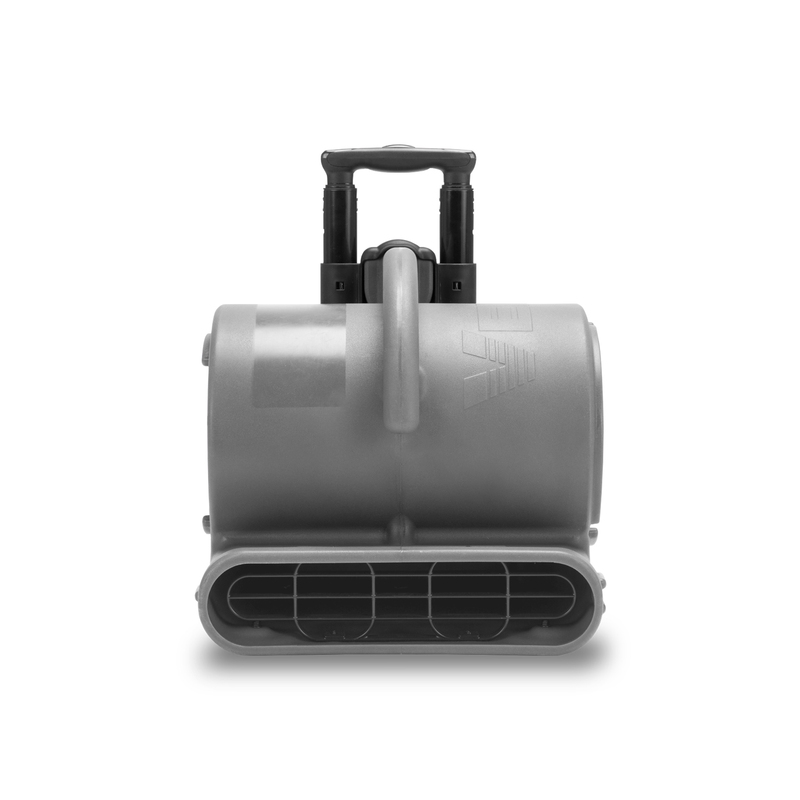 The Vent’s multipurpose design allows it to be used at 2 different angles (horizontally, and 90°) to allow air flow in the desired direction. 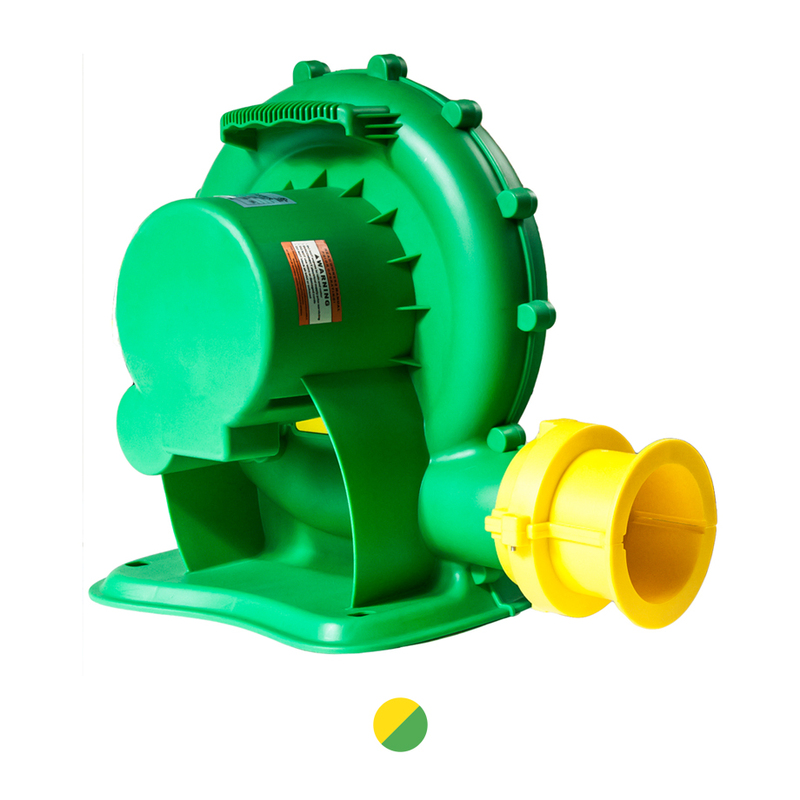 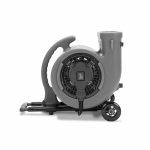 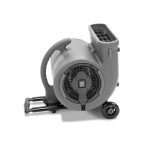 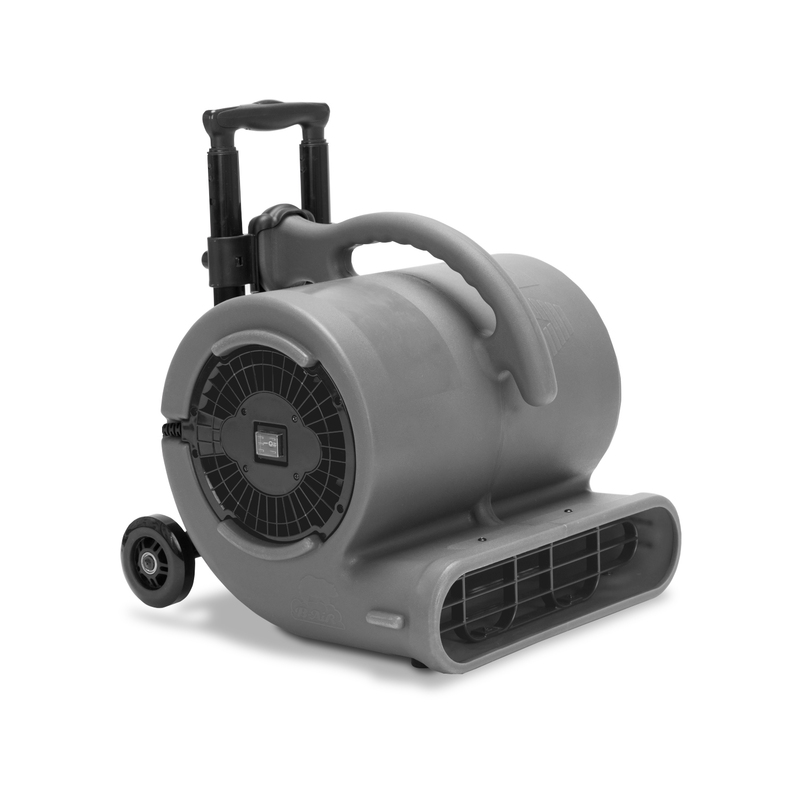 The B-Air Vent 50H with handle housing is constructed of an extremely durable rotationally molded plastic. 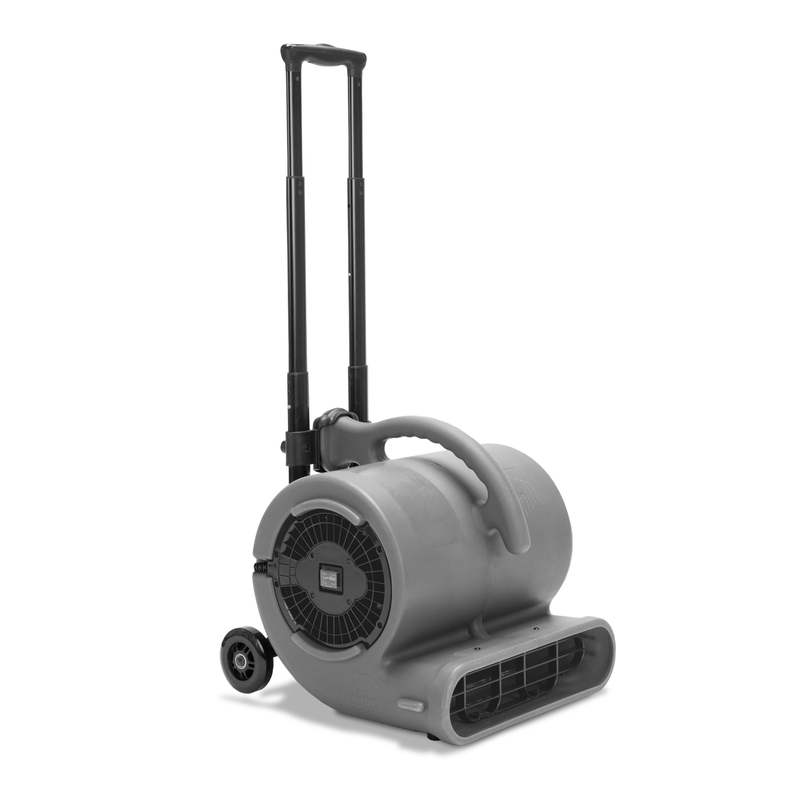 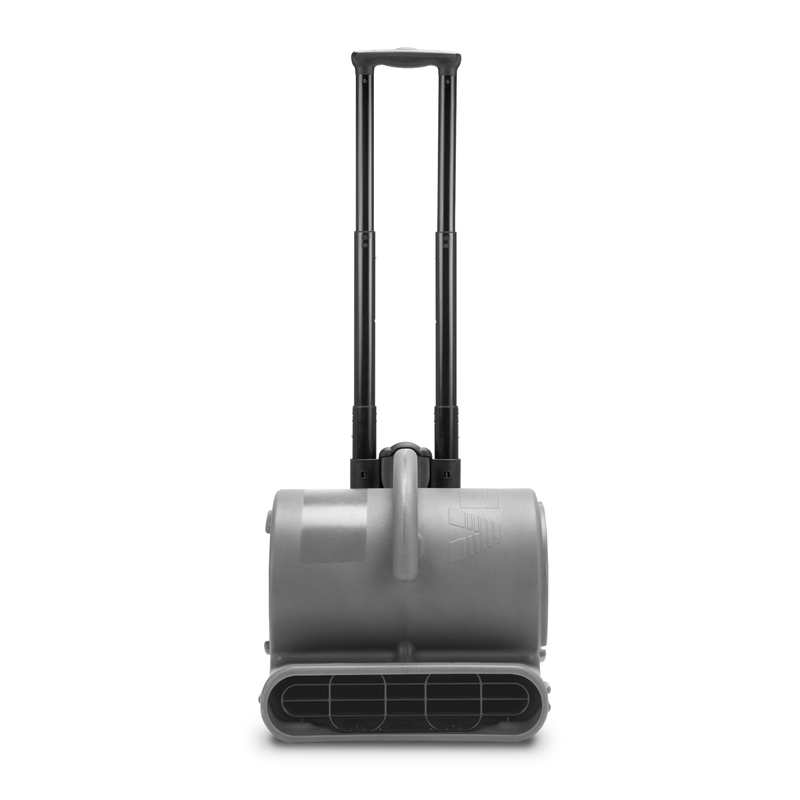 The powerful ½ HP motor in the VP-50H with handle is completely enclosed to prevent moisture from entering and damaging the motor’s internal componentry. 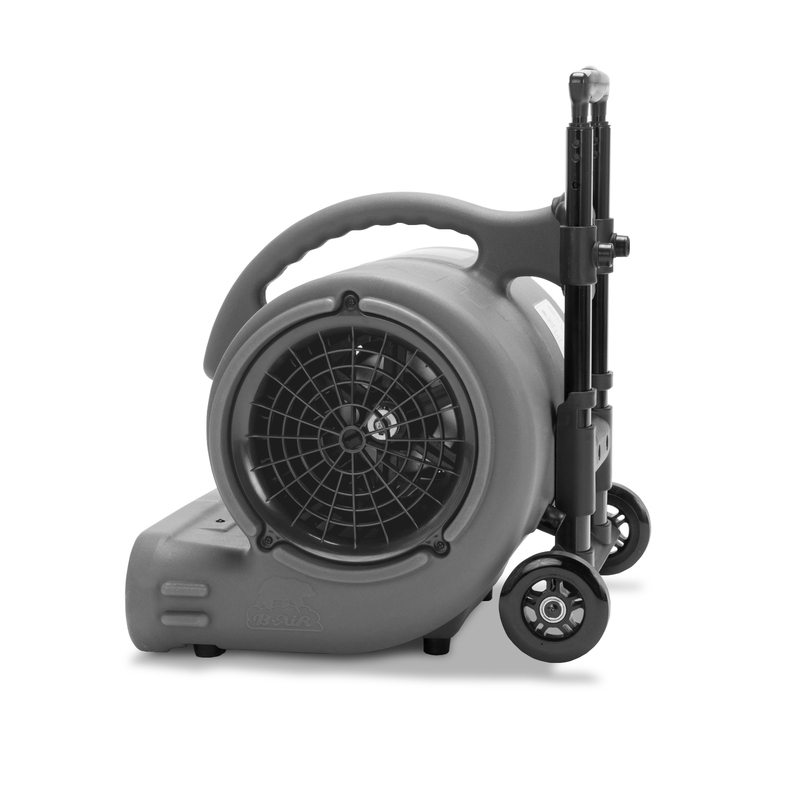 Due to its lightweight and compact size, the Vent is easy to carry and occupies less space when stored. With interlocking contact points at air intake grills and exhaust ports, the Vent line of air movers can safely and securely stack up to 4 units high. 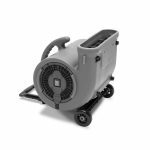 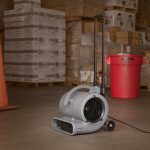 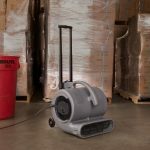 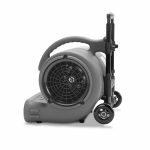 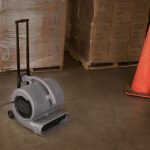 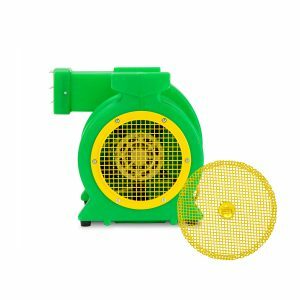 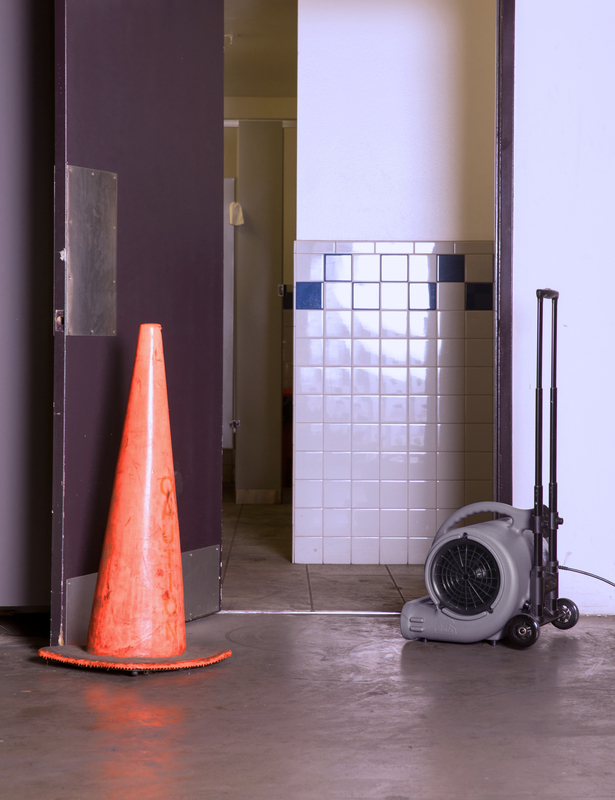 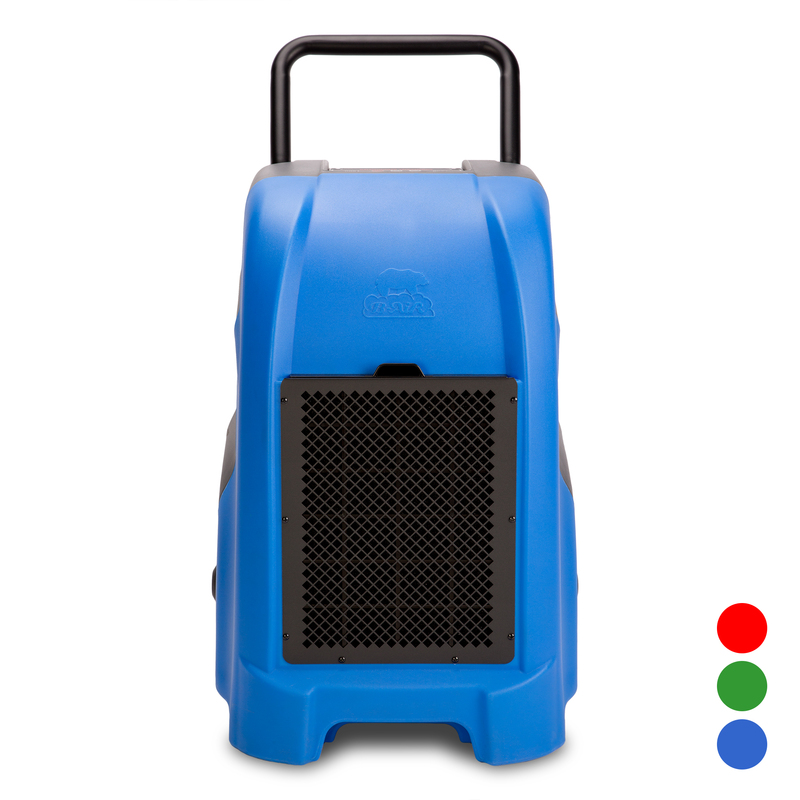 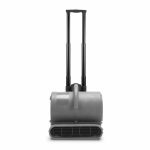 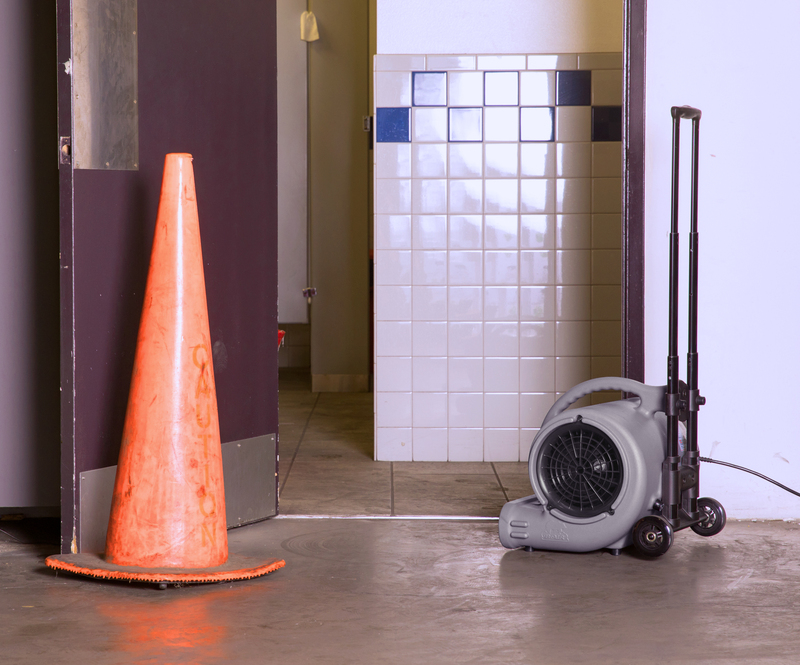 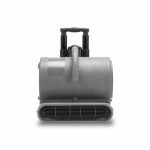 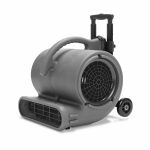 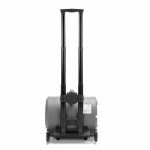 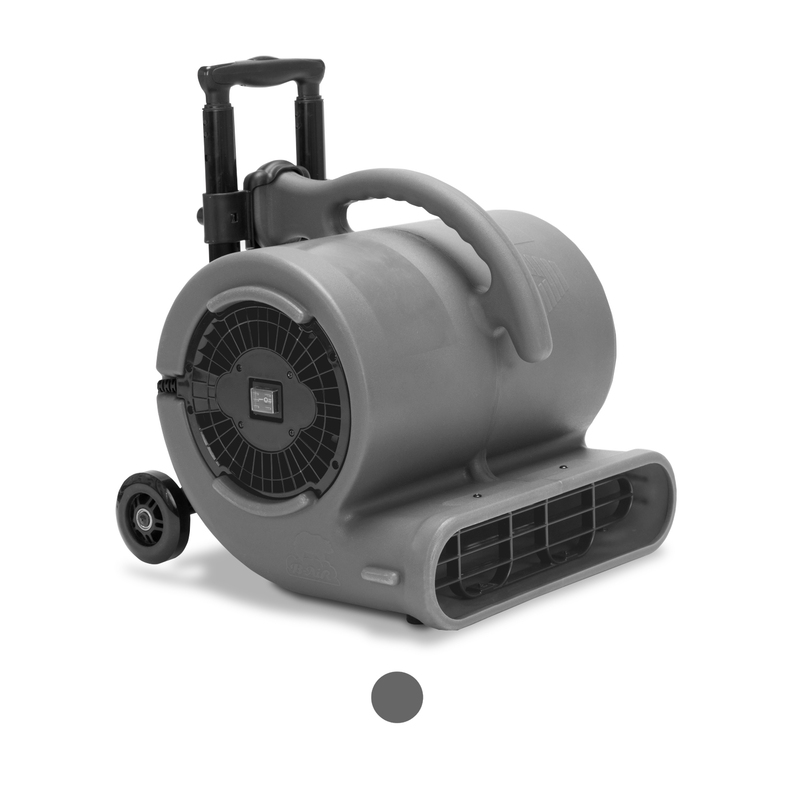 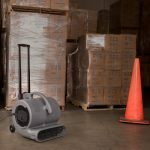 The built in sturdy handles on the Vent air movers can be used to mount the unit on a stowing wall or in a truck for maximum efficient storing.